That’s a question I hear often – I don’t always know the answer but generally, if we didn’t plant it I say it’s a weed. The children like to pick leaves and flowers to use in their activities like making soup or decorating structures. 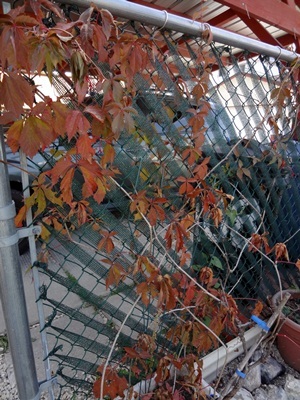 They are careful not to damage the plants that we are trying to grow so they seek out the invaders – the ones we didn’t put there. 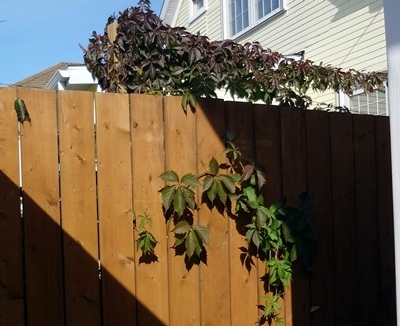 This plant is not even near the garden – it is growing through the fence but it originates in my neighbour’s yard. We didn’t plant anything in this container but we think this one looks like it is a bean plant. 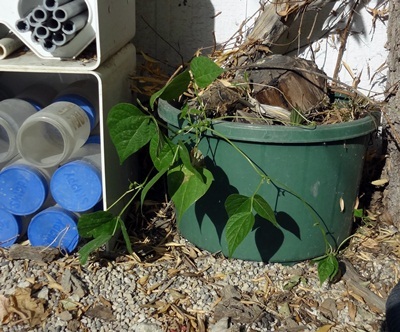 Maybe when the children were playing with the beans from our garden one of the beans got dropped in this container. 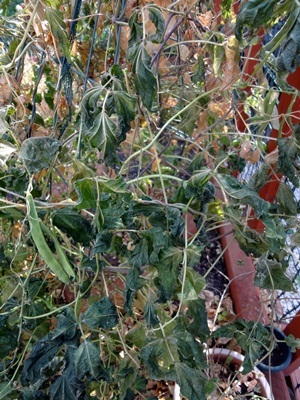 Even though it is now October this plant looks new – not old and shrivelled like the beans we planted in the spring. 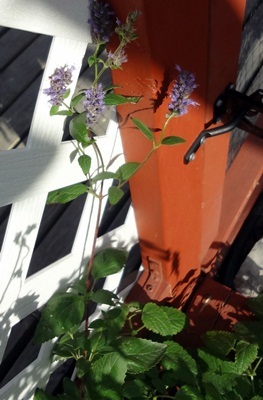 We did plant that Giant Hyssop on the hill but not in the garden. 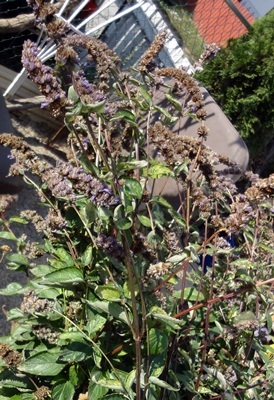 “Could some of the seeds have blown across the yard and landed in the soil by the lemon balm?” That’s another good question. We may never know all the right answers but I love that we ask so many questions.